On every cruise, we welcome stars and all kinds of renowned artists on board. Enjoy some thrilling moments in the private setting of the EUROPA, with the finest classical music, groovy jazz and soul, danceable swing, as well as readings and theatrical pieces, first-rate comedy, and much more. As well as a varied entertainment programme, which changes every day, there are also exclusive events and shows, in which top chefs or circus acts delight the senses. Simply unforgettable. 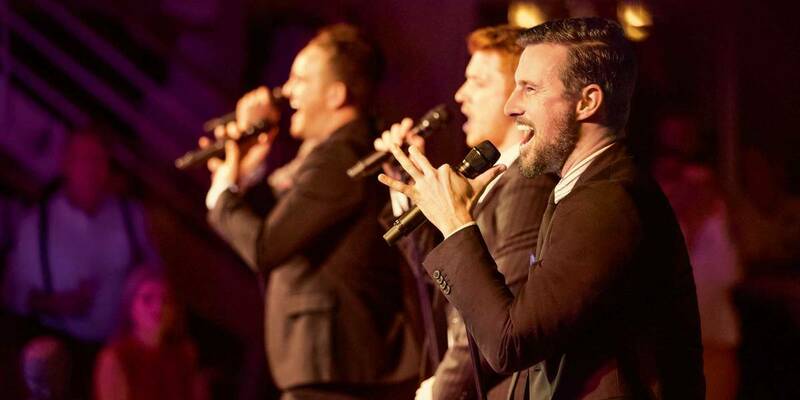 The highest level of entertainment with renowned artists and music from classic to jazz and from soul to swing. Be amazed. The Stella Maris International Vocal Competition is devoted to finding talented young singers in cooperation with famous opera houses worldwide. In this high-calibre vocal contest, world-famous opera houses recommend their up-and-coming stars, who compete against one another in three concert events on board the EUROPA. The classical headliners of tomorrow demonstrate their abilities in the categories of opera, oratorios and lieder to the star-studded jury and the rest of the audience. The audience choose their personal favourite to receive the generous audience award. 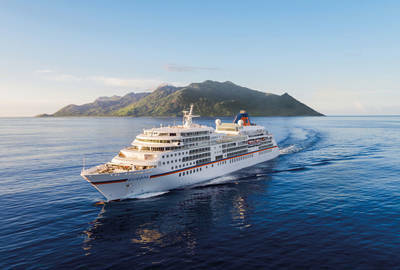 Since 2007, the EUROPA has hosted an annual classical music festival which combines some of the best international musicians as part of the Ocean Sun Festival. Famous opera singers, virtuoso musicians and well-known conductors create a unique composition of music and the sea, and give you the unparalleled pleasure of experiencing world-class stars up close and personal in the intimate surroundings of our ship. And that is not all: the artists also transform a number of hand-picked venues on shore into concert halls with their masterful performances. The stage is set for the Theatre Festival. In partnership with renowned theatres, famous artists perform plays and productions from different genres, which are adapted especially for the EUROPA. Whether they are fresh interpretations of great classics or brand-new works – look forward to some inspiring theatre and interesting talks with theatre experts and dramatists. Beam yourself back to the 1980s. A world of aerobics and cassette tapes, Alphaville and ZZ Top, a fashion for rebellion and pushing the musical boundaries, political upheaval and the will of the people changing the world. With wild 1980s parties, as well as the personal memories of some VIP guests on board: cruise with us back through time and deep into the midst of a colourful event on board the EUROPA. Experience the atmosphere of vibrant clubs, where award-winning musicians pay tribute to great legends and young artists lead you into new worlds of sound. With powerful voices, fantastic instrumentalists and a good portion of soul! Experiencing the extraordinary is on the agenda on the EUROPA. 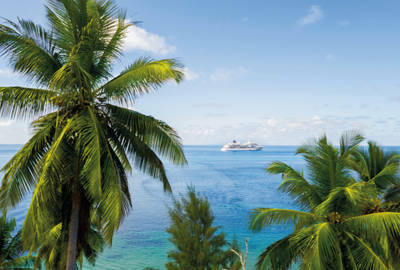 Our events provide the perfect mixture of experience and relaxation on our cruises. 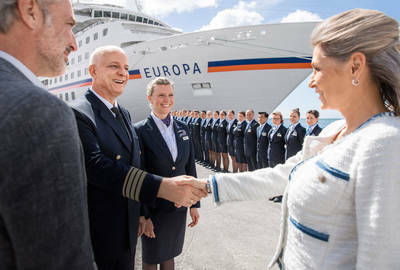 Now one of our classic events: MS EUROPA meets Sansibar. Relax on the beaches of Sylt, feast in the popular Sansibar restaurant amidst the dunes and enjoy an unforgettable party night on board with many famous faces from economics, culture and show business. Our offers and specials from the world of knowledge provide plenty of inspiration. Gain new insights and ideas through discussions, enchanting garden art or a photography workshop. On our garden cruises, experts are waiting for you on board the EUROPA to tell you about all of the particularities of the gardening culture of each destination on themed excursions. Even before you leave the ship, our highly regarded experts will prepare you for your upcoming exploration with exciting presentations on the principles of garden design and its historical and cultural context. Join the experts ashore and discover hidden gems, majestic country residences and impressive parks. See the most beautiful, verdant paradises on the planet from a new perspective, from the United Kingdom to the islands in the Atlantic to the faraway coasts of Asia. Satisfy your curiosity with experienced lecturers and experts on board. Whether it’s an interesting presentation about the ports you are about to visit or special expert excursions focusing on art or architecture, you have some inspiring encounters to look forward to. On days at sea, the varied on-board programme offers plenty of new experiences. Look forward to workshops on subjects such as photography or painting, creative writing, memory training and dance lessons. Health and beauty courses invite you to give your body the attention it deserves. The programme is different for each cruise, but it will always open up new horizons for you.